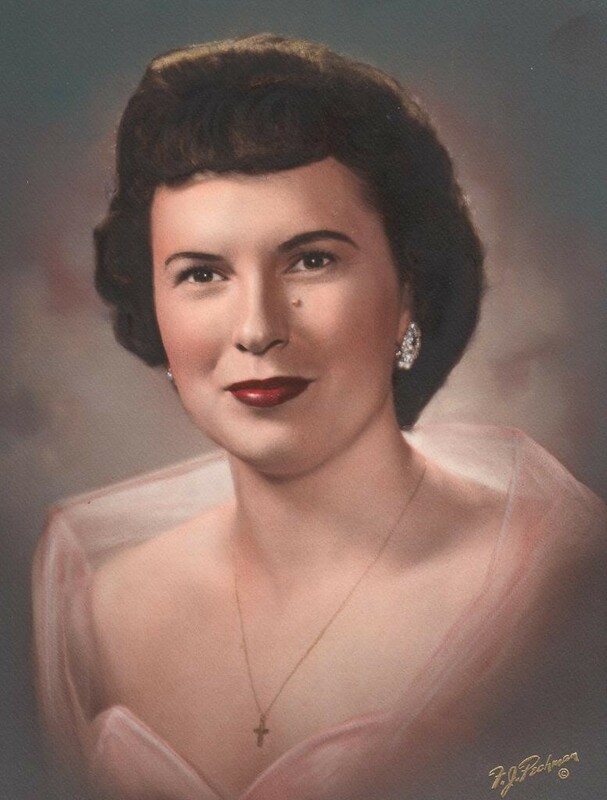 Audrey Cecilia Mae Erber, 85, passed away November 14, 2017. Visitation is Monday, November 20 from 6:30-8 pm, at Bunker’s Garden Chapel, 33 N. Centennial Way, Mesa. Funeral services are Tuesday, November 21 at 10 am, at Bunker’s Garden Chapel. Audrey passed away peacefully in her home. Audrey is preceded in death by her loving soulmate and husband Heinz Herbert Erber, brother Glen Bessette, sister Delores Otto, and by her parents Delore and Dorothea Bessette. Audrey is survived by her children, Bonnie Patricia Kamps (Jeff) of Green Bay WI, and Gail Marie Brimley (Wayne) of Queen Creek, AZ. She is also survived by her grandchildren Luke Steven Erber (Marissa), Jessie Naomi Searer (Franklin), Heather Marie Kamps (Jeremy Carlson), Michael Paul Kamps (Rebecca), Jonette Lee (Ty), Cache Ivard Brimley, Abigail Wilda Brimley, and Eliza Audra Brimley, along with her great-grandchildren Alex Erber, Eli Searer, Caleb Searer, and Reed Lee. Audrey was an accomplished cook and homemaker; her favorite place in the world was Disneyland/Disneyworld. She attended Disneyland the year it opened, and visited almost yearly until her late 70s. Some of her grandchildren’s most cherished memories with her are enjoying the rides at Disneyland and Disneyworld with their Grandma, especially the Pirates of the Caribbean (dead men tell no tales) and the Haunted Mansion (“now wait for the ghosts”). Interment will be right after the funeral at the National Memorial Cemetery of Arizona at 1:00 PM. All are welcome to attend and celebrate Audrey’s life. Condolences can be sent to www.bunkerfuneral.com.